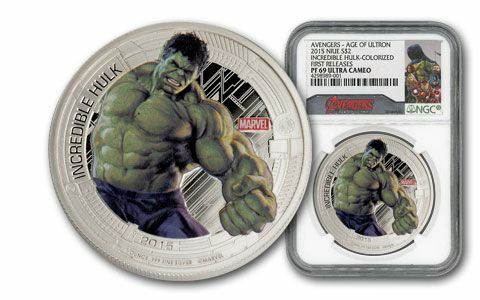 In 2015, Avengers: Age of Ultron was one of the highest grossing movies in America - and by every definition, this superhero mash-up was a massive box office success! 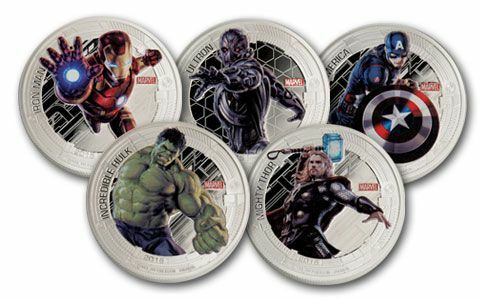 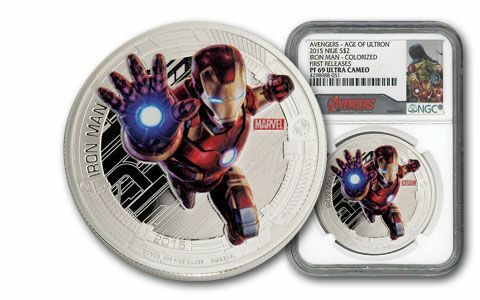 Each $2 legal-tender proof in this power-packed set is struck in one ounce of 99.9% fine silver and features 'Earth's Mightiest Heroes,' including: Hulk, Thor, Iron Man and Captain America. 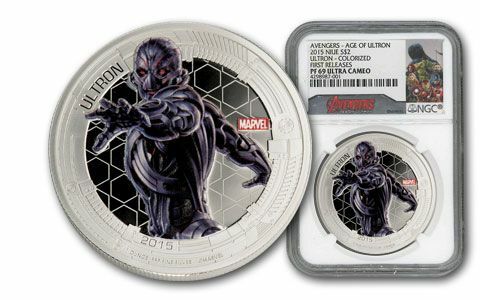 Also included is the evil villain Ultron, the sentient robot that has been on a conquest to exterminate humanity since he first appeared in Avengers comics in 1968. 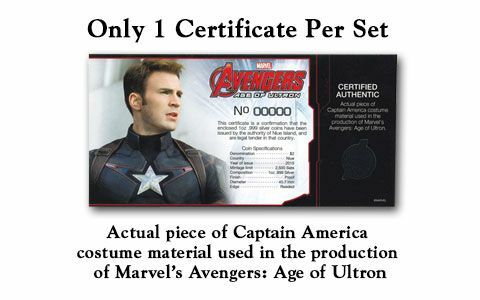 Each also comes with certificate of authenticity and an actual piece of Captain America's costume material used in the production of Marvel's Avengers: Age of Ultron. 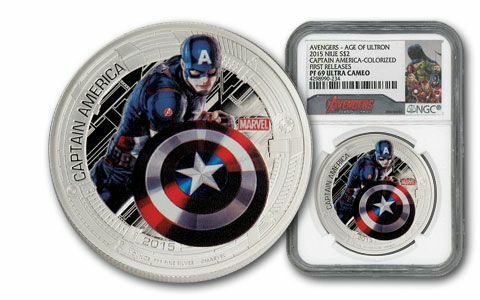 Each grades Proof-69 Ultra Cameo (PF69 UC) by Numismatic Guaranty Corporation (NGC). 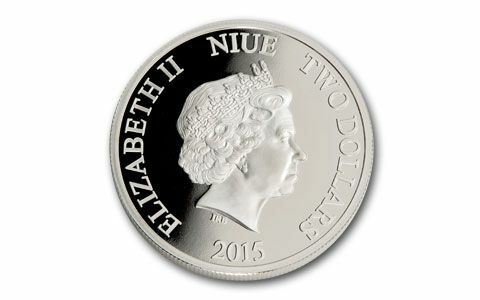 The mintage is limited to only 2,500 sets. 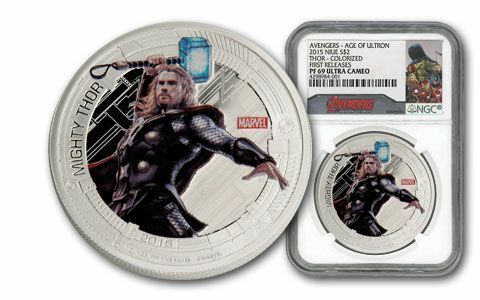 Harness your own superpowers and order now!